A month ago my husband and I biked to Caribou for coffee and mentioned to the barista that we biked three miles to get there. She said, “Wow!” I said, “It’s only six miles round trip.” She was still amazed. I didn’t think it was anything special but it was fun, exercise and a nice way to get outdoors and enjoy good weather. If I wasn’t a biker, I would think 6 miles was a long way. If you own bikes, I want to motivate you to set some goals and get out for bike rides so biking 3-6 miles will be nothing for you. If your bikes are for casual use, continue to make using them fun. 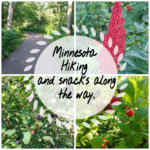 It’s been great to explore the trails in central Minnesota. We have the Paul Bunyan trail, Crow Wing State Park trail, and trails in our city. The Paul Bunyan Trail is 115 miles long and starts before Baxter and ends beyond Bemidji at Bemidji State Park. Pretty much a flat paved trail. 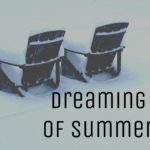 Further north there are the Heritage, Itasca State Park, and Willard Munger Trails to name a few. Take time to ride the trails starting with 5 miles and work your way to 10, 15 or 20 miles. If you ride 10 miles per hour it really only takes 30 minutes to ride 5 miles. We have biked 10 miles to a restaurant at a golf course near us for a snack or meal and then we rode back. 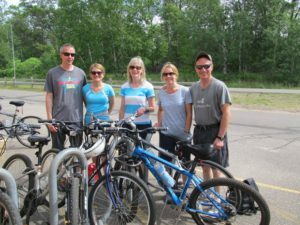 Another activity we like to do is invite friends and bike on the Paul Bunyan trail from Baxter to Nisswa. 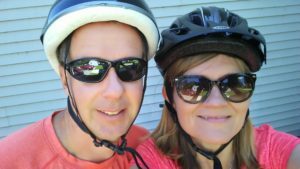 We stop for coffee and scones at Stone House Coffee in Nisswa and then ride home. This takes all morning because we talk on the way and take our time. 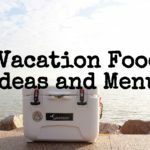 This is fun and exercise for us all while enjoying good conversation. This ends up being a 32 mile bike ride round trip. You have earned the scone and coffee by Biking! 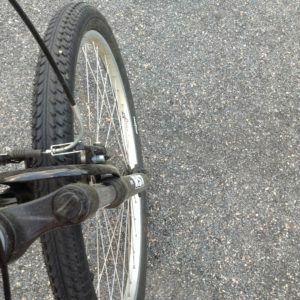 Nisswa Bike Trip. After Coffee! If you are looking at increasing exercise, then set a goal of biking one hour three to four times per week and try to increase your speeds or climb killer hills. Most of our biking is fairly flat, but when I meet a hill it kicks me in the behind and increases my cardio workout. Cycling clubs are available to join that can motivate and give you other people to bike with. I have a comfort bike which is made for use on pavement and gravel. However, if speed is your thing you will want to invest in a road bike. I personally only bike 8-14 mph so speed is not my thing. The 8 miles per hour is when I am climbing hills or biking against the wind. Biking burns 400 to 700 calories an hour depending on your weight, speed and distance. If I bike 60 minutes with a speed of 10-12 miles per hour and bike 10 miles, I will burn 410 calories. My husband burns more calories than me when we go biking. Google a cycling calculator to determine the calories burned. Plug in your weight, speed and distance. Biking is a great way to condition your leg muscles and cardiovascular system while helping you lose the extra weight. Muscle weighs more than fat but it also burns more calories and helps you lose weight in the long run. 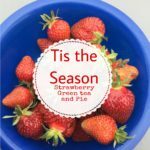 It may take a while but stick with biking and the weight will eventually come off along with the benefit of becoming more toned in the legs. Once a year at the beginning of June we sign up for the Tour of Lakes Bike Ride and cycle 35 miles with pit stops for breakfast burritos, fruit, water and snacks. 70 miles is another distance option if you are more ambitious. 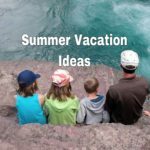 This is a great way to set a goal, jump start your exercise and get in shape at the beginning of the summer. All skill levels participate in this and it is not a race. 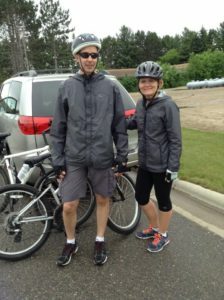 I am including a link to the website of the bike ride sponsored by the Paul Bunyan Cycling Club. Sign up early in February or March to make sure the bike ride does not fill up and reach its limit of 1,200 riders. We were signed up to participate last Saturday, but we were the no shows since it was raining, 47 degrees and windy. I am a fair weather biker after biking in the rain a couple years ago. After a rainy 35 mile bike trip. The final reason to ride bike is transportation. If you son or daughter is looking for a summer job and you live within 3-5 miles of a place to work, then biking is ideal. Make sure there is a safe way to get there. Some cities have great bike paths or lanes, others do not. If my husband needs to drop off the car for repairs he adds his bike on board and bikes home until the car is ready. We have even biked 10 miles round trip to church for a meeting one evening. Always wear a helmet. I have saved my head a few times when my klutzy self falls. It also keeps my hair in place from the wind. Always bring water in a bottle and get a bottle holder for your bike along with a pouch to keep your phone, snacks and money to buy anything along the way. I have even stopped at garage sales. Carry items in a backpack or on a carrier that attaches to your bike. If you are biking 20 or more miles, consider buying padded biker shorts. I found mine at a garage sale and I wouldn’t leave home without them when I bike for a long time. I also like my biking gloves. They help my hands become less sweaty, give my wrists support and if I fall my hands are protected. Check the weather forecast before heading out. Rain, high and low temps, wind speed and direction are all important factors. Dress and bring appropriate gear for the conditions. Don’t be afraid to cancel a trip if the conditions are poor. Make plans with friends to bike and enjoy one another’s company or join a cycling club or group. A group of us bike together for our church small group in the summer. 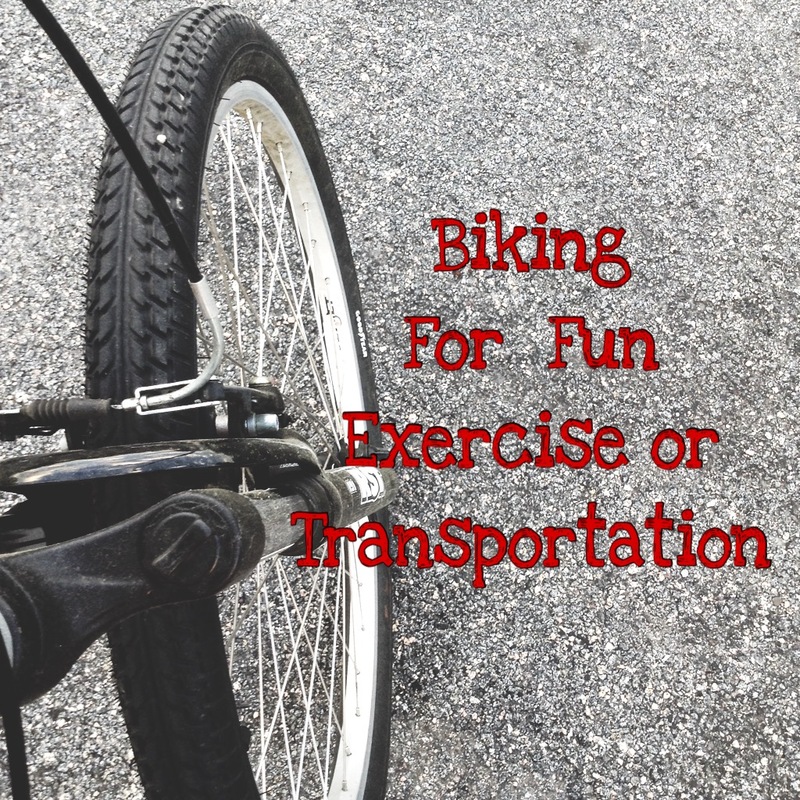 Plan biking into your weekly schedule for exercise, fun or enjoying the outdoors. Set a goal for Biking. Will you do it for fun, exercise or weight loss? Plan it and Do it! Wear your helmet and enjoy! You didn’t even mention moutain biking! 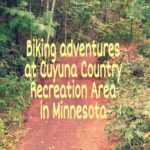 The trails over in Crosby/Cuyuna are pretty awesome, I hear! That will probably be in a future post by my husband. I usually only bike the trails and my husband does the mountain bike trails. I don’t enjoy mountain biking as much as him. I tried it and it was stressful for me, since I am prone to accidents. 🙂 Thanks for mentioning it. So many biking trails in this area and so fun. Every weekend could be spent biking in central Minnesota. You should try it sometime.